Available from 2018-12-01. 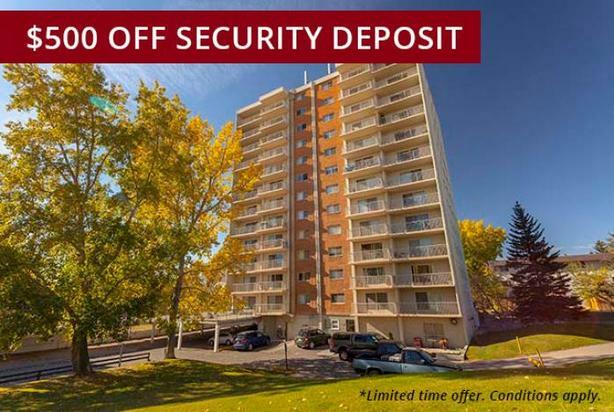 Charming 1 bedroom for $1100.00 a month in Varsity Holly Acres offers one of northwest city locations for vast 1 bedroom, 2 bedroom and 3 bedroom apartments for rent in Calgary. Located in a park-like setting near Nose Hill Library, residents can walk to the University of Calgary, restaurants, shops and services. Northland Village Mall is an easy stroll along a footpath from the property, and Market Mall is a mere five-minute drive.Comfort meets convenience in this haven of large Varsity Village suites, located near Crowchild Trail and 40 Avenue NW, buses and the Brentwood C-Train. Holly Acres apartment homes are mere minutes from all urban amenities, yet just off the beaten path for abundant greenery and peaceful surroundings. Surrounded by trees, parks and central to shopping and outdoor recreation; large, renovated suites offer ample space indoors, too, especially remarkable in our one bedroom and two bedroom models. Residents also enjoy the convenience of on-site laundry facilities in each of the apartment complex's three low-rise and single high-rise buildings. Call or visit our rental office today and tour these well-maintained apartments with our friendly property manager.Includes hot water and heat,Electricity not included,Near Public Transit, LRT,Grocery, Shops,Safeway, Walmart,Restaurants, Pubs,Tim Hortons, Starbucks,Recreation, Gyms,Foothills and Children's Hospitals,Northland Village, Market Malls,Marion Carson PS,Parking,Laundry Facilities,Extra Large Suites,Balcony (1 and 3 Bdrm apts),Renovated Buildings,Elevators.. Contact us at 4032885826 for more information.